Are you ready for something delicious??? Of course you are. You know I love my food and my drink, but some things just work better and offer more than others. This happens to be one of those things. 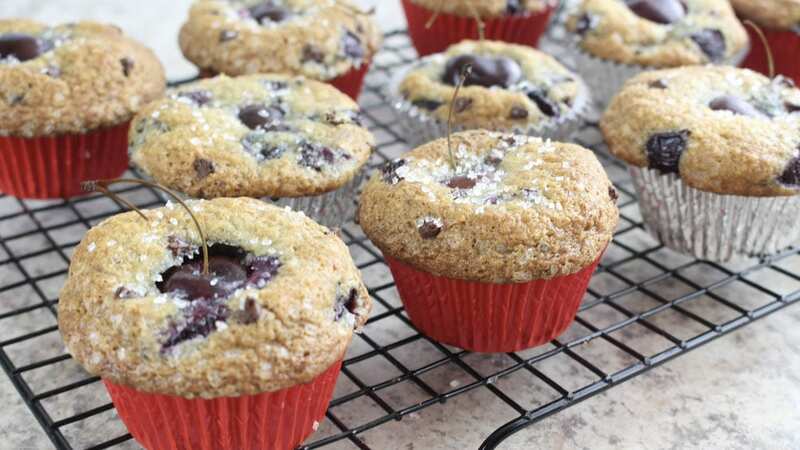 This is a great recipe for some sweet and delicious muffins. 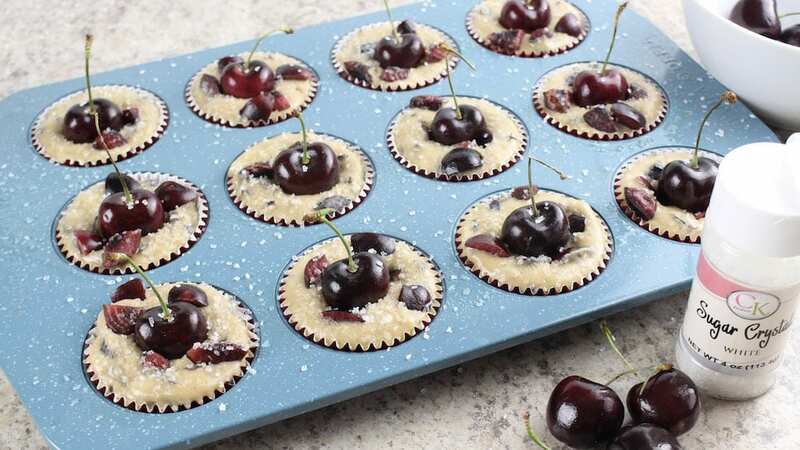 The bite of the chocolate and the wonderful sweetness of the cherry match up so well to create a really tasty muffin. Perfect for breakfast, snack time, or dessert!! This may be the best muffin recipe you’re ever seen. Just saying. It’s pretty simple and easy to bake, but the results are awesome. 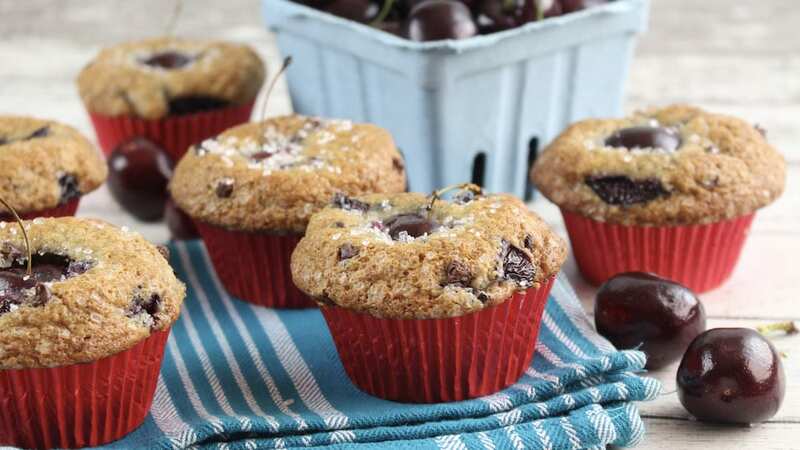 I think it’s a very good time for this Cherry Chocolate Muffin Recipe!!!! This is a great recipe for some sweet and delicious muffins. 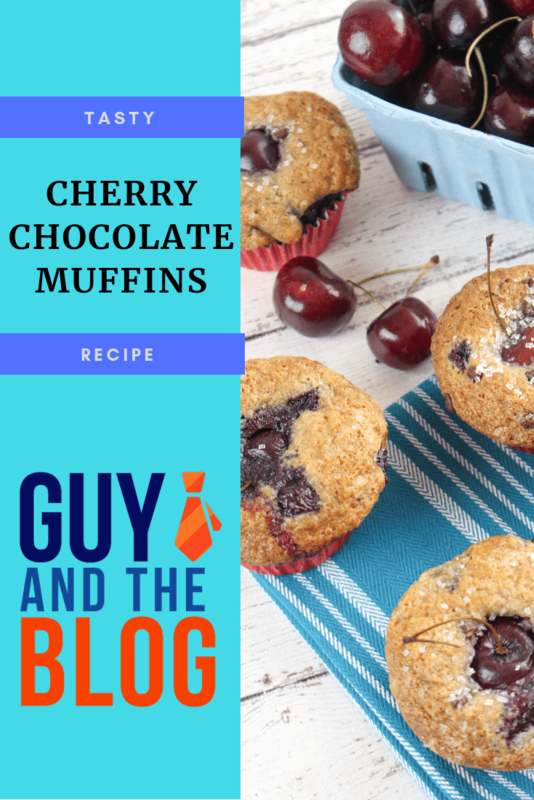 The bite of the chocolate and the wonderful sweetness of the cherry match up so well to create a really tasty muffin. Perfect for breakfast, snacktime, or dessert!! Preheat oven to 375°. Line a 12 count muffin pan with liners and spray with a coating spray like Pam. Set aside. 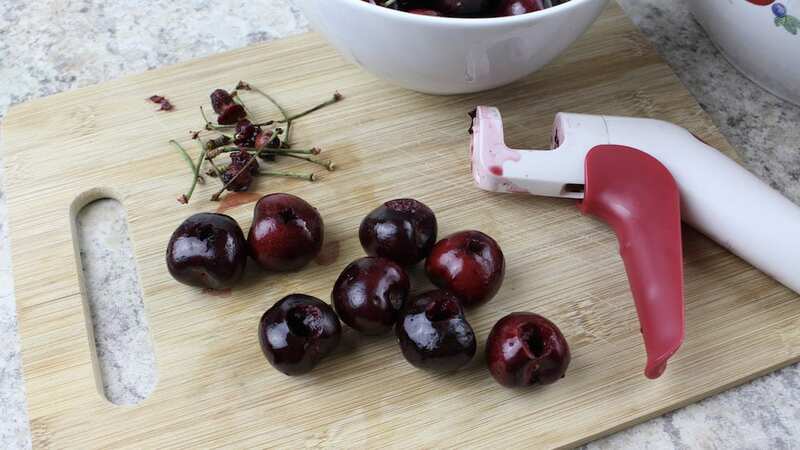 Rinse and remove the pits from the cherries and set aside in a bowl. 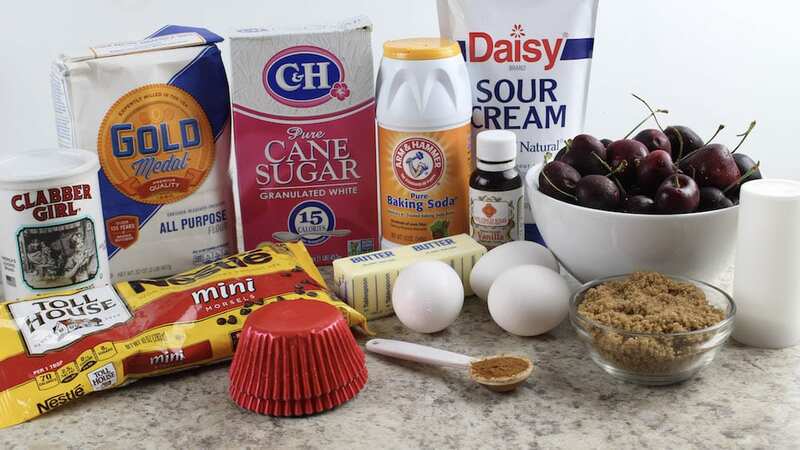 In a large mixing bowl, add the flour, both sugars, baking powder, baking soda, salt and cinnamon. 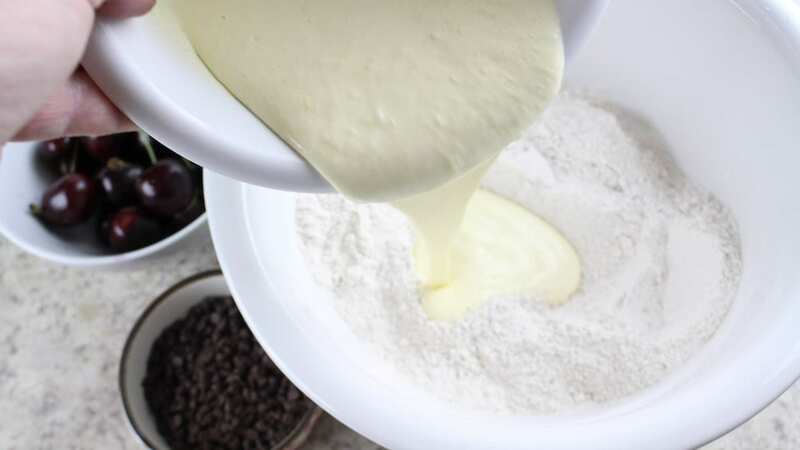 Whisk the dry ingredients together. Set aside. 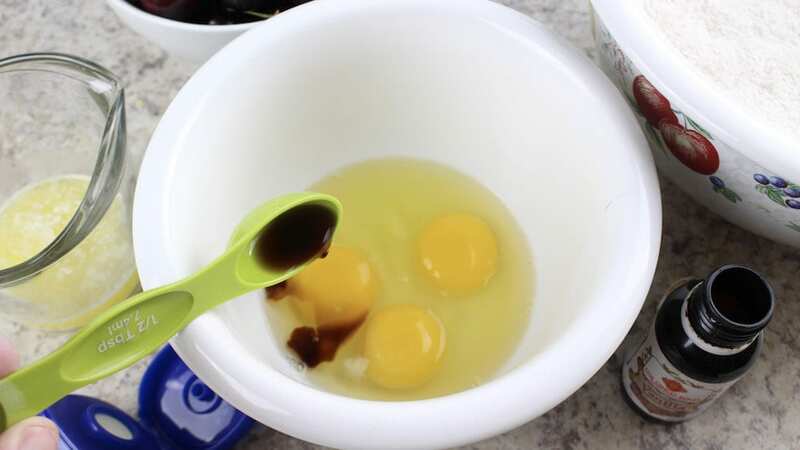 In a medium mixing bowl, mix together the eggs, butter, vanilla and sour cream. Form a well in the middle of the dry ingredients. Pour the wet ingredients into the well. Stir 10-12 times to combine. Do not over stir. You want the batter to be lumpy! Over-stirring will create large air pockets in your muffins. 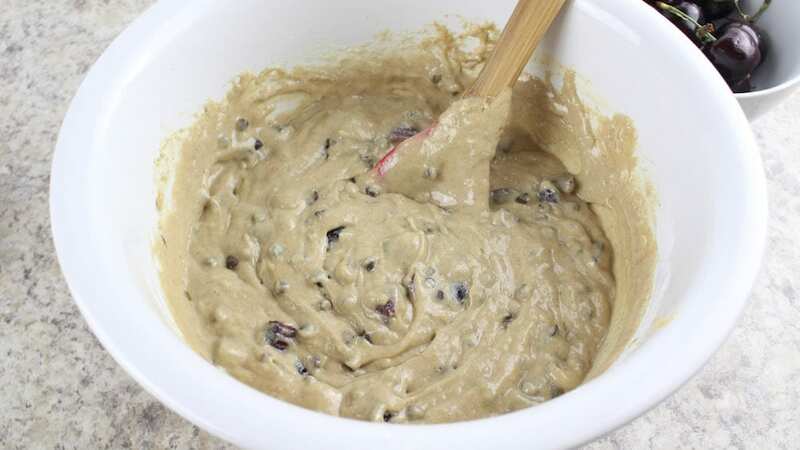 Gently fold in 1/2 cup chocolate chips and 1 cup cherries. Transfer the batter to the muffin cups, filling 3/4 of the way to the top of each liner. Sprinkle remaining cherry pieces and chocolate chips on top. 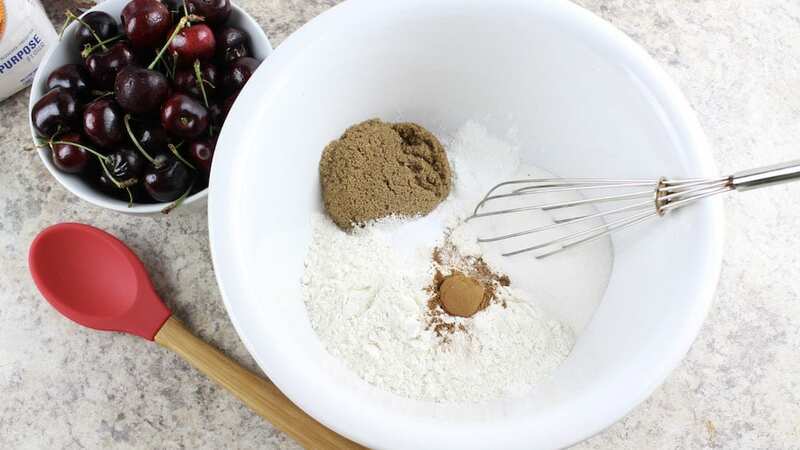 Finish with placing a whole stemmed cherry on top of the batter. Sprinkle with coarse sugar. Bake for 20-25 minutes or until the muffin tops are golden brown and an inserted toothpick comes out clean. 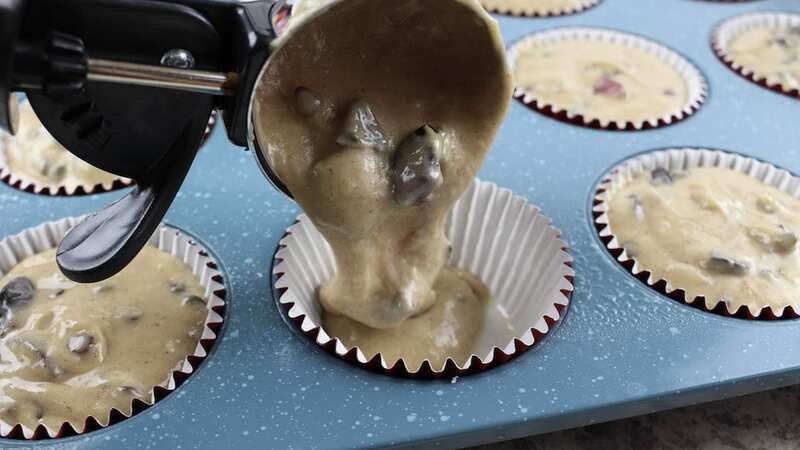 Allow the cupcakes to cool in the pan for 10 minutes before allowing to cool on a wire rack. What do you think? Is this for you? I really love the recipe and think it’s just a perfect treat for any time of the day. Let me know if you try it out yourself and what you or your family thought about it. I love to get feedback!!! Great Pizza From A…GASP…Electric Oven!